This paper explores different mechanisms for delivering climate finance at the local level. It focuses on the experiences of a national climate fund – the Climate Resilient Green Economy (CRGE) facility in Ethiopia – and a sub-national source – the County Climate Change Funds (CCCFs) in Kenya. The paper aims to understand how well these funds take into account the priorities of local communities alongside recognising and incorporating national climate change policies and development plans. The novelty of the paper lies in understanding the implications of who makes the decisions in the investment prioritisation process and at what level of jurisdiction, along with how those decisions are made. Appropriate levels of decision-making for decentralised climate finance are discussed. Download the full paper from the right-hand column. National and sub-national climate change policies. Institutional architecture and coordination among different government bodies. Financial systems and instruments through which climate change related expenditure is channelled. The Climate Public Expenditure and Institutional Review (CPEIR) framework was used to analyse the same three dimensions in both Kenya and Ethiopia: (a) institutions, (b) policies and (c) financial mechanisms. As the framework is built to analyse climate finance at the national level, the authors adapted it to a local-level analysis for the in-depth analysis of the two case studies, drawing on multiple local-level examples selected from the two countries. Climate policies in both countries are designed to include local-level priorities. ​However, the extent to which regional​ and county governments have incorporated the priorities of lower levels of governments and communities into the policy process is perceived as limited in both Ethiopia and Kenya. Both countries have linked their climate policies with their national and sub-national development planning processes. ​In Ethiopia, climate change appears to be fully mainstreamed across the key sectors prioritised in the Growth Transformation Plan (GTP) through a national multi-sectoral approach. In Kenya, mainstreaming is achieved on a more ad-hoc basis ensuring that the CCCFs’ various projects are aligned with the County Integrated Development Plans (CIDPs). Neither fund has yet achieved full financial integration into their national budget systems. ​Ethiopia’s facility projects have been implemented through the line ministries’ regular channels, but they still mainly work with international funding, with no domestic funding mobilised so far. In the case of Kenya, finance has, until the last couple of years, come from entirely external sources not allowing funds to be channeled through the national budget. The characteristics of a climate finance delivery system clearly reflects the political and economic context, national development priorities and type of decentralisaton process in each country. ​In Kenya, devolution has given county governments significant authority over their own planning and budgeting processes. Meanwhile, Ethiopia’s more centralised approach has enabled the creation of a national fund where those same decisions are taken by central ministries. There is the need to ensure that management of funds relies heavily on domestic decision-making. This means that donor support and engagement in the design of local-level climate finance delivery systems should be careful not to undermine recipient country management of funds. The authors found that additional investment needs to go into building expertise at sub-national levels (woredas and counties). This will enable community responsive adaptation and offer a better representation of local needs in investment decisions. Expertise should then be complemented with adequate financial resources that can be flexibly channelled. Lastly, it was found that if local governments can demonstrate capacity and diligence in managing funds, they should be trusted to decide how well local priorities raised through community consultation meet national policies, and subsequently support them. ​At the same time, the decision-making power and technical climate-specific knowledge of local government officials shouldn’t be overestimated and needs to be counterbalanced by rigorous application of participation tools such as vulnerability assessments. Caravani, A., Greene, S., Canales, N., and Amsalu, A. (2017). 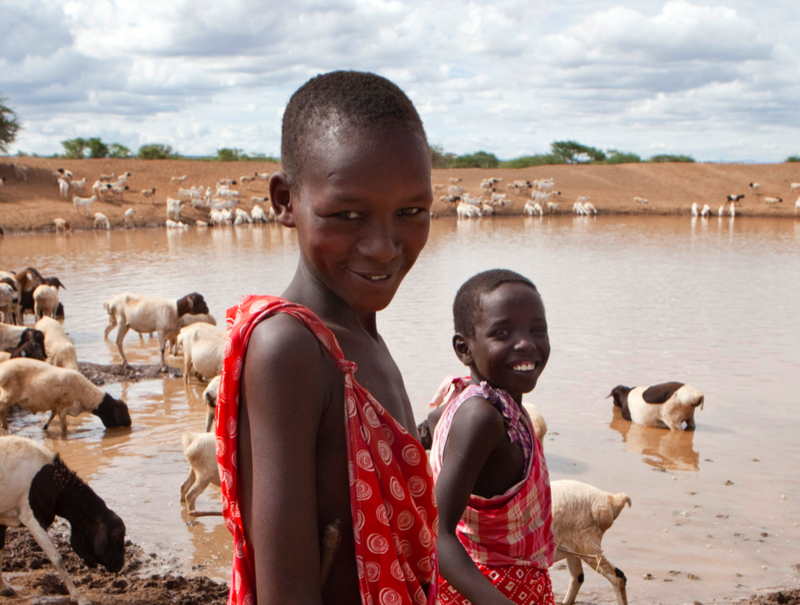 Decentralising climate finance: insights from Kenya and Ethiopia. BRACED.